Something In The Water had members of No Contest and a few other bands. I was very excited to see Voices Forming Weapons, who had members of the excellent band All Chrome. I don’t remember much about their set at all, but their demo and other records have been collected on an album. The vocalist for VFW is now in Sweet Jesus. I remember nothing about Ensign at all. I might have gone to eat with someone? I might be mixing up a few shows though. 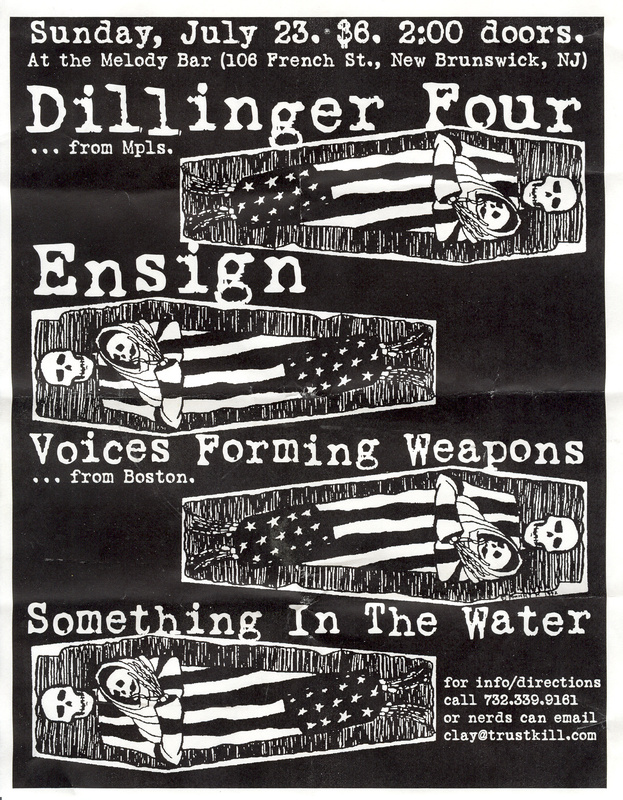 I stood in the hall and watched Dillinger Four for a few songs and then got out of there. I don’t like that band at all, but I remember a lot of people loved them. Oh well.